A pair of motorcycle crashes took the lives of two men Thursday near St. Paul and the northern Marion County town of Brooks. 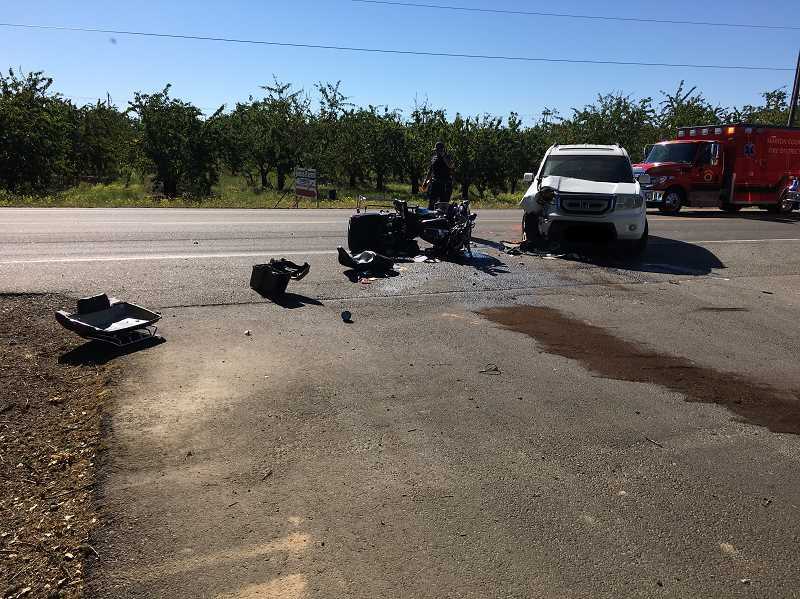 The first involved a Newberg man who died following a motorcycle-versus-SUV crash Thursday morning in Brooks. At 8:57 a.m., Marion County deputies responded to a crash on River Road Northeast south of Waconda Road Northeast. A preliminary investigation revealed that an SUV, driven by Michael Bashaw, 18, of Salem, was traveling north on River Road when it turned to make a delivery, cutting into the path of the motorcycle coming from the opposite direction. The motorcyclist, Robert Grove, 69, of Newberg, died at the scene. River Road was closed between Waconda and Brooklake Road Northeast for several hours Thursday morning. Deputies said the investigation is continuing and no additional details are available as of press time Tuesday morning. A crash around 5:30 p.m. Thursday on Highway 219 resulted in the second death of a motorcyclist. Investigators determined that John Stewart, 75, of Port Angeles, Wash., was driving a 2000 Harley Davidson northbound on Highway 219 near St. Paul when he veered into the oncoming lane, crashing into a 2015 International truck. The truck was driven by Finet Navan Carlos Falig, 27, of Gresham. Stewart was pronounced dead at the scene. Falig was uninjured. Highway 219 near Mahony Road Northeast was closed for five and a half hours.